Almost 102 years ago, on April 10th, 1912, a ship that was almost 900 feet long, left Southampton, England, and headed for New York City. 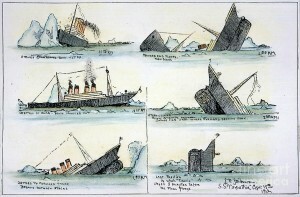 The name of this ship was the RMS Titanic, and she was already going down in history just by her design and “unsinkable” reputation. 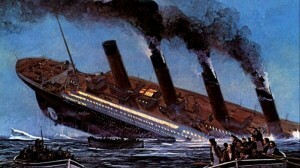 However, within four days, the Titanic would became famous not for her luxurious fittings, her impressive passenger list, or her speed, but for a reason that no one could ever imagine…the fact she would hit an iceberg, sank in less than three hours, and took over 1500 people with her. After the Titanic sank, the first question everyone had when the Carpathia made it back to New York City was, why did the Titanic sink? Now, this question is not so simple to answer because the first thing that will come to mind when it is asked is clearly the most obvious answer, which is because the Titanic struck an iceberg, but it is far more complicated than that. While the more direct answer to the question, why did the Titanic sink is the iceberg, there was much more going on that fateful night other than too much ice. 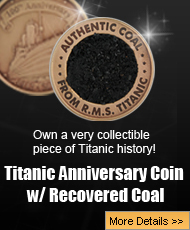 The truth is, there was an unfortunate series of events that seemed to start right when the Titanic was still being built that seemed to spell doom for the world’s most magnificent ship, and even to this day, her construction, voyage, and sinking, is still something that is studied to this day. The first thing that comes to mind when the question is asked, why did the Titanic sink, is that fact that the men in the crow’s nest did not have binoculars. The truth is that when it comes to spotting ice, every sea captain out there will say that they do not use binoculars. The best way that captains deal with ice is to have extra men posted along the bow of the ship. With so many eyes watching, any iceberg can be seen and reported as quickly as possible. Eyes alone are best when it comes to spotting ice, but sometimes binoculars are used to verify that an iceberg is there after it has been seen by the naked eye, and sometimes men do use binoculars to try and determine how far away it is from the ship. Another important thing that happened the night the Titanic sank is the fact that there was no moon to help make visibility even better. The moon, even when it is not at its fullest, still provides an adequate amount of light to help guide ships, but the night of April 14th, there was no moon, which made things even more difficult to the Fleet and Lee up in the crow’s nest. To make the night even more difficult, there was no wind as well, and wind is very helpful especially when it comes to spotting icebergs because the blowing wind can press the water against the base around the iceberg, which will look like white foam. Even in the darkest of nights, the bright white foam is a tell-tale sign of an iceberg that every sailor looks for. Without that foam around the bottom of an iceberg, they can be extremely difficult to spot, which proved to be the case that terrible night. When the mighty ship, the RMS Titanic went down, the world was so shocked and immediately started asking a lot of difficult questions like why did the Titanic sink? 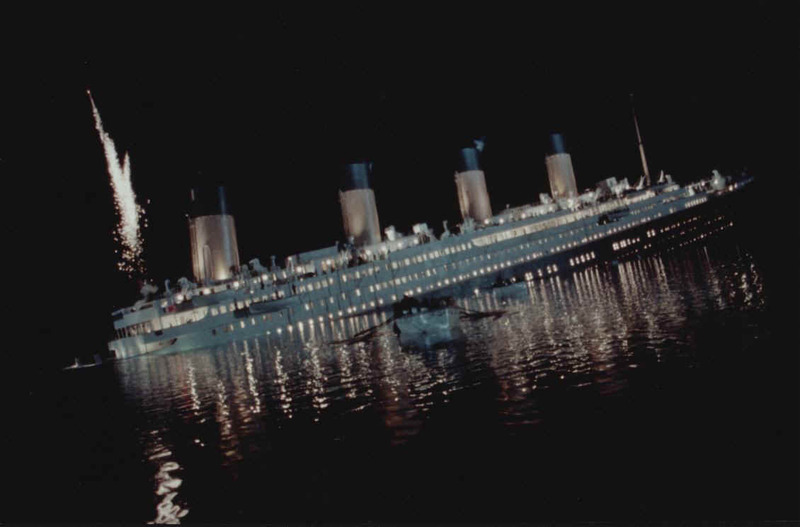 The people that had the most information on the tragedy were the 705 Titanic survivors who were on board the Carpathia, which was on its way to New York City. However, once the survivors arrived, there was an inquiry, but the passengers really did not have that much to say about it, even the surviving officers. 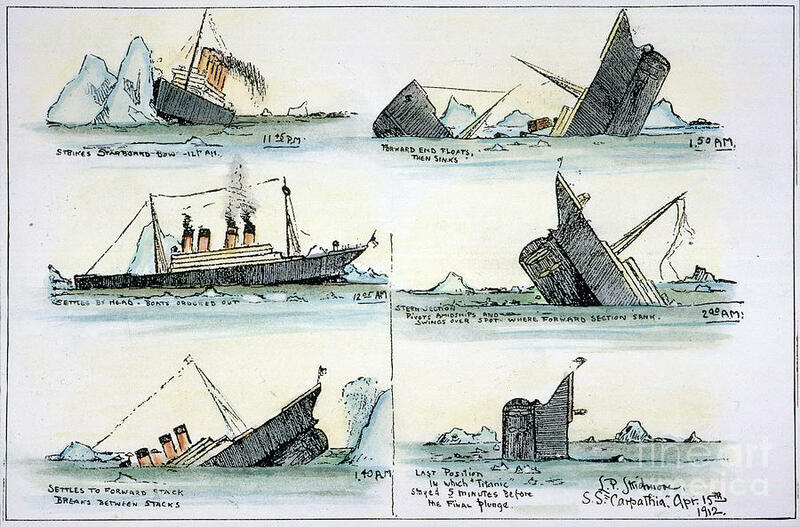 There were many problems, conflicting stories, and it was not until the Titanic was actually found by Robert Ballard in 1985 that a lot of questions got answered. 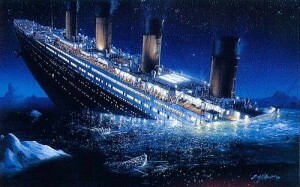 It was also then that Titanic experts began to piece together what really happened that night, and also discovered that the answer as to why the Titanic sank went beyond just a collision with an iceberg. Even now, almost 102 years later, the experts out there are still looking into why the Titanic sank, and there are more answers yet to come.